Radio Hindvani Live Streaming Online . 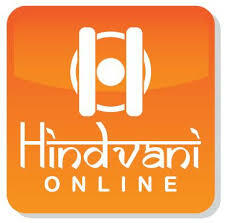 Hindvani online aims to be the largest online community for everyone that loves Hindi in South, Africa and globally. Hindvani means “Voice of Hindi” and the first broadcast in October 1998 . It is currently broadcasting on 91.5 FM in Durban and surrounding areas and on 102.3 FM in Pietermaritzburg and surrounding areas.